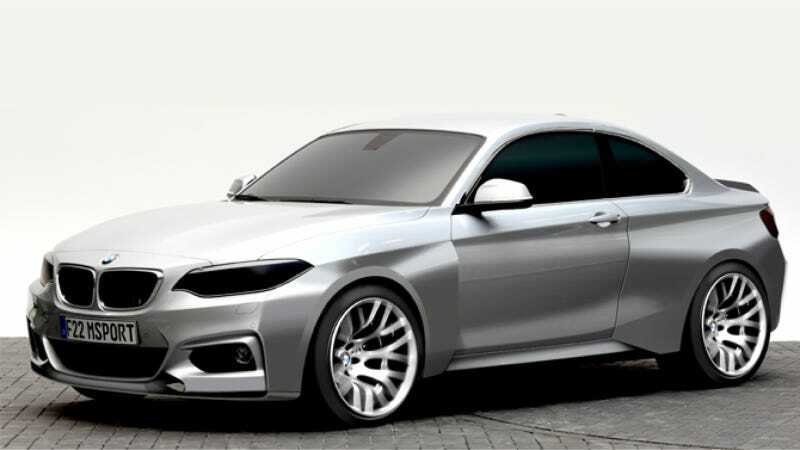 BMW is introducing a fender-flaretastic "M235i Racing" variant of the new BMW 2-Series, designed for use in what are considered more accessible racing series such as the VLN Endurance Championship Nürburgring, where it'll race against the likes of Porsche and Audi. The car is designed to be a tool for individuals entering racing at a serious, albeit semi- or non-professional, level. Launched in the 1960s, the BMW Sports Trophy allows the brand to offer a special incentive for all those drivers on their own private missions with BMW racing cars. From 2013, private teams may also collect points – and win attractive prizes. Any BMW driver can enter free of charge, regardless of whether they are taking to the track in a car purchased from BMW Motorsport Distribution or at the wheel of a BMW racing car set up under their own steam. This way, BMW Motorsport supports its customers on a broad level. The BMW Sports Trophy boasts a total prize purse of over 250,000 Euros. The M235i Racing replaces the M3 GT4 as BMW's "factory racing car" offering. Underneath those chunky fenders the M235i Racing has a host of FIA-required safety features, carbon trim, and a mechanical LSD. Under the hood is a "TwinPower Turbo" 2.979-liter inline six with 333hp. ABS, DSC, and traction control are onboard to make driving easier and allow for a broader driver audience. Hat tip to Dennis Rhoads!